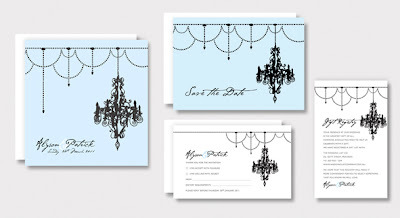 The 'Enchanted' wedding stationery package for Andrew & Laura in custom silver & charcoal colourway (includes wedding invitation, thank you card and bon bon stickers). Amy & Aaron's Save the Date Cards for their Byron Bay wedding in December. 'Garland' Save the Date Magnet in Lilac for Kirsty & Brett. 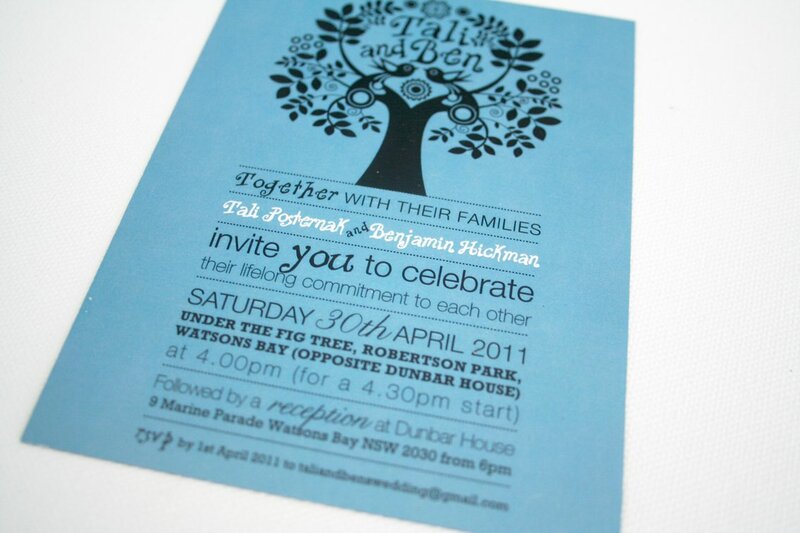 The 'Enchanted' Wedding Invitation Magnet in Cornflower Blue for Tali & Benjamin. 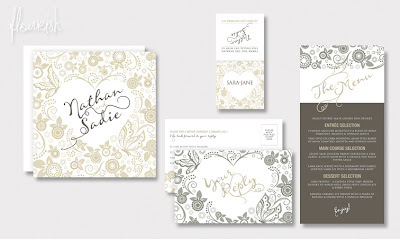 Sam & Amber's 'Garland' Wedding Invitation in custom 'Champagne' colourway on metallic stock. 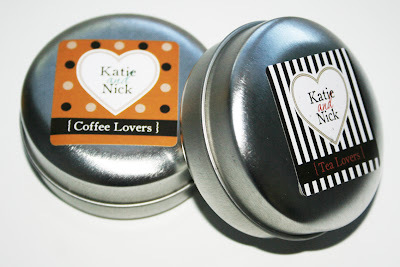 Custom 'Tandem Bicycle' Wedding Invitation for Kate and Dave. 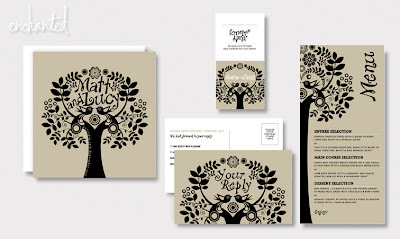 Printed on Kraft Brown stock, C6 size, four panel, printed two sides with a perforated reply postcard. Round two of Jon & Katie's Wedding Stationery package - Thank You cards in the matching design (Spots & Stripes in custom colourway). We were commissioned to create this design for one of the leading bridal magazines' next issue to suit the theme and colour of their feature spread. 'Garland' in soft blue for Alyson & Patrick. This package is printed on shimmer stock, and will also include Order of Service Booklets, Menus, Table Name Cards, Table Seating Chart and Thank You Cards. A custom designed 'Peony' Wedding Invitation Magnet for Helen and Chris in Blush Pink and Vanilla. 'Spots & Stripes' design in a custom purple, silver and black colourway for Jon & Katie. 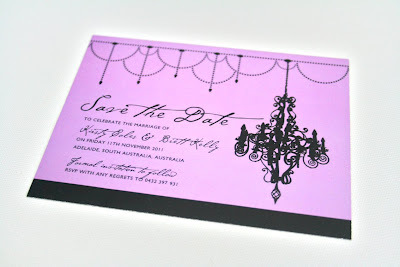 John & Amy's 'Butterfly Daze' Save the Date Cards. Custom Baby Announcement / Thank You Cards for little Olivia (what a sweetheart!). Natalia & Paul's 'Script' Invitations and Reply Postcards in Silver and Dusky Pink. 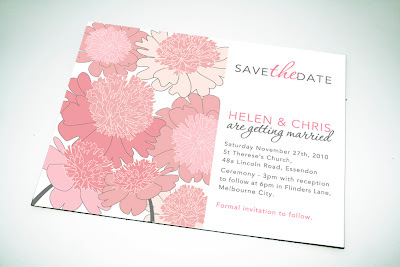 Large 'Oriental Blossom' Save the Date magnet. 'Dotty' in custom colourway - Muted shades of dusty pink, taupe, charcoal and light grey, printed on metallic stock. Jim and Natalie chose the stunning 'Victorian Lace' theme for their Invitations, Placecards and Order of Service Covers. The gold accents on the stationery created a luxurious yet elegant look. Jill's daughter organised these lovely invitations for her 50th Birthday celebrations. The design was based on the popular 'Garland' creation, with elegant pink swapped for a fun and vibrant turquoise. Mandy and Jay's concertina style wedding invitations were designed using the 'Oriental Blossom' theme. This wedding reception package was created for Bec & Andy, who chose the 'Dotty' design in a blue/purple colour theme. The tables were adorned with the Menus, Personalised Swing Tags, Placecards and Table Cards. This elegant custom design was created for Elissa and Andy's Sydney Harbour Yacht Wedding. The simple design featuring a monogram of the couple's initials was printed in silver and dusty pink on metallic card. A concertina fold Invitation, Reply Postcard and Information/Map Card completed the package. 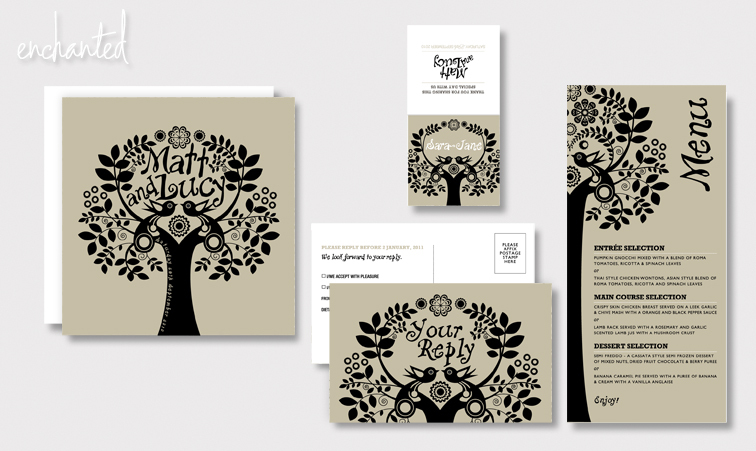 The second round of Katie and Nick's wedding stationery has been completed! 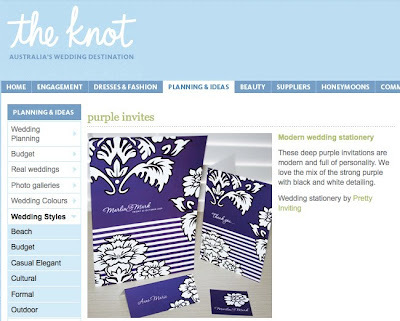 Their unique design theme (based on their custom wedding invitations) was carried throughout. Order of Service booklet covers, placecards (with different designs used for the ladies and men), bonbonierre stickers to be used on the gifts, and an A1 table seating chart for the entrance at the reception. These gorgeous Thank You Cards were designed to match Josie Brett's 'Dotty' wedding stationery package, and included their favourite (and stunning!) photos from the day. Carly & David's 'Lotus' wedding stationery package consisted of custom designed Square Concertina Invitations, Reply Postcards and a DVD of images to entice guests to make the trip to Thailand. David and Jen's 'Botanical' stationery package was printed in a lavender and apple colourway. The invitations were sent with accommodation cards listing nearby stays for those guests that were travelling to the wedding.